When you learn to scuba dive or come with us on leisure dives, safety and fun is always our top priority. We take seriously the responsibility of your life and well being as our student or leisure diver. At the same time, we want you to have a great experience when you choose to dive with us. Before any of our Instructors get the opportunity to teach you to scuba dive, or before any of our Divemasters get the opportunity to lead you on a leisure dive, we first of all have to feel comfortable in allowing our Instructors and Divemasters take care of our loved ones. That means, if we don’t trust our Instructors and Divemasters with our loved ones, they will not be qualified to teach or lead you. Foong, affectionately known as Uncle Foong, Foong Sook or just Mr Foong, is the owner of Blue Waters Borneo. But don’t be surprised to see him leading dives or instructing scuba diving students because he really does enjoy being hands on with the day to day operations as well as meeting new friends. He is never happier than when he is in the water. 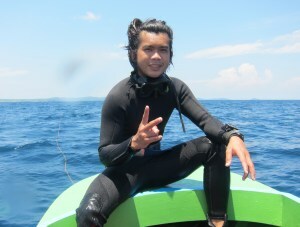 He loves to share his tips and experiences on how to be a better diver and always emphasize safety. He started diving in the days when divers wore front mounted BCs and masks that today would be labelled as “vintage”. 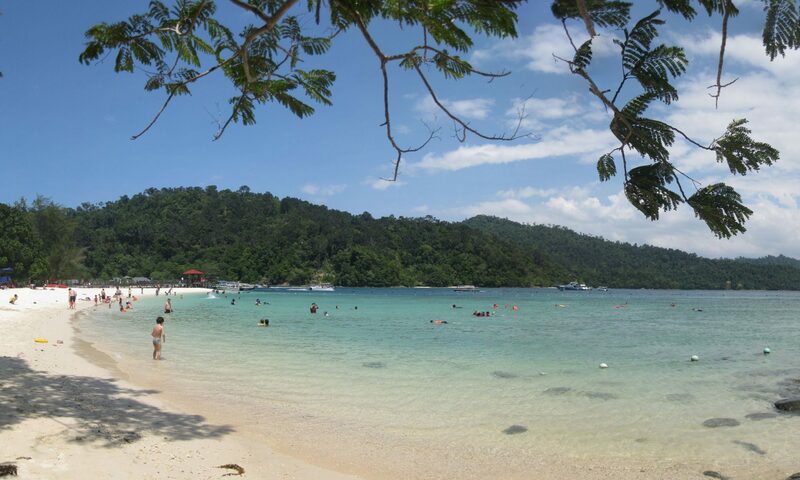 His love for diving and the sea started when in his younger days as a banker; he was transferred to the state of Terengganu and his home was just metres from the shore. Hailing from Ipoh, Perak and growing up in Melaka, he has called Sabah home since 1992. 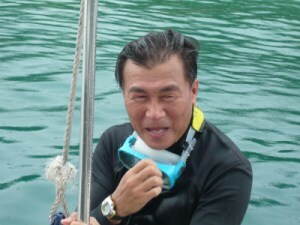 He has been teaching students how to scuba dive since 1992, and in 1997, he formed Blue Waters Borneo Sdn Bhd. His passion for shipwreck exploration resulted in the establishment of Tec Rats specialising in technical diving. Find Foong Lai Thong on Facebook. Not many know that before Yapp was a diver, he has a dislike for getting wet in sea water. But since then, he just cannot stay too long away from diving. He has many funny stories to tell and also possesses a sharp wit. Yapp spent his growing up years in Tawau, a small town known for being the world’s third largest producer of cocoa beans. He is a qualified NAUI Instructor Trainer. Occasionally he will make fun of the PADI training system and compare it with NAUI. But deep down inside, we all know that he is very proud of both his certifications from PADI and NAUI. Find Yapp Kiam Yen on Facebook. 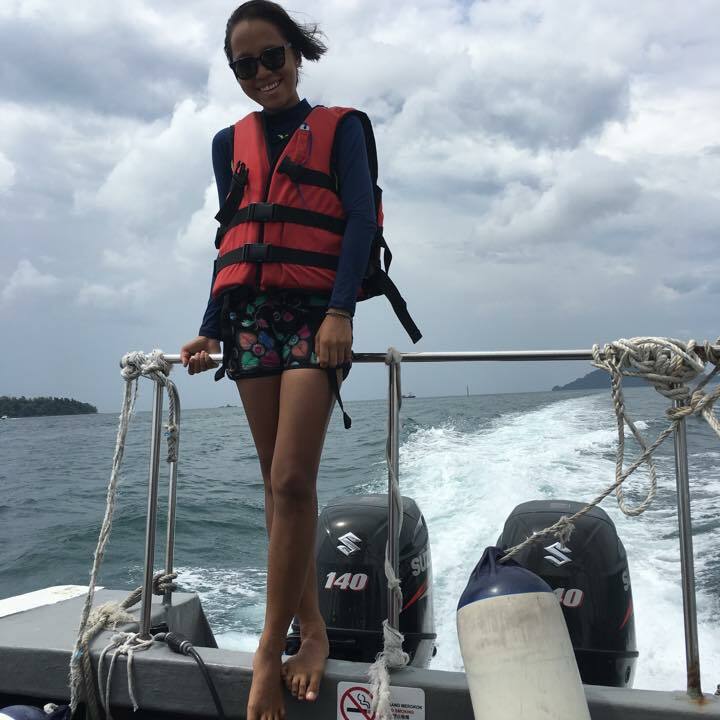 Brenda hails from Kota Kinabalu and is equally comfortable teaching students how to scuba dive and also handle a 280HP trimaran boat. She is a qualified NAUI instructor. Dixon, a native Iban from the Land of the Hornbills, first joined us in 2009 under a college industrial attachment program. His early overzealous enthusiasm for scuba diving earned him the title of “Cowboy Diver”! He just cannot get enough of the ocean beneath. 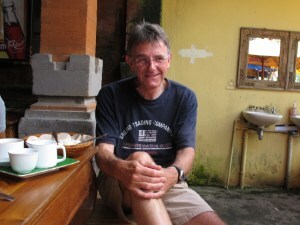 Alan has lived and worked in many places around the world and has dived in many of those places as well. 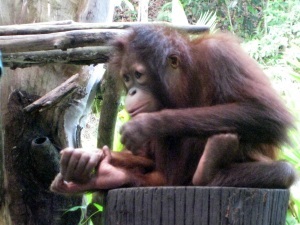 But since arriving in Sabah in 2006, he has made it his second home. He is an avid wreck diver and together with Foong, explore and document the wrecks off Gaya Island and Usukan Bay every chance they get. You will almost always see Alan out at the islands on the weekends, either teaching students to be divers or bringing Discover Scuba Diver participants on their first experiences underwater. In his past life, Alan works for an international engineering consultancy group as an engineer and project manager. He hails from Fulham (yes, it’s pronounced “Full Ham”. I kid! It’s really pronounced “foo-lum”) and is a qualified PADI Instructor and TDI Instructor. Jake spent a number of his growing up years close to the sea. As a child, he has lots of fond memories of netting fish, picnics and playing next to the sea. Vaguely remembering studying something about computers not too long ago…, OK, it may have been a little bit longer than that, Jake decided that getting a sun tan from a large computer monitor is just not the same as being outdoors by the sea in the cool breeze or going for a dive. He’s determined to learn as much as he can about diving and share his experiences with others. Apparently he has been diving since 1999. Jake is born and bred in Penampang and is a qualified NAUI Instructor. Kenji, one of the founding members of Tec Rats, together with Foong Sook, just loves penetrating wrecks. His costly love for underwater photography and tec diving has already cost him a Canon G10 camera and 2 light strobes, and recently, an Inon wide angle lens to the depths of the ocean! When he isn’t diving, he spends his time at the indoor wall climbing club, scaling wall.